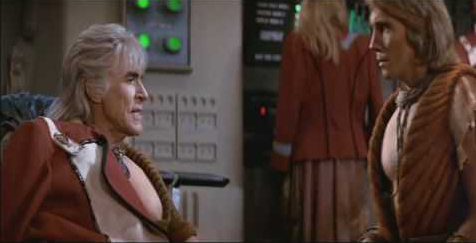 Fans of Star Trek no doubt recognize the iconic picture of Khan from the movie "Star Trek: The Wrath of Khan". In the movie, Khan sets himself what ultimately ends up being an impossible task, defeating his old adversary, the great Captain Kirk. Recently, I learned of an excellent site for practicing computer programming problems - "tasks", if you will, TestDome.com. Their problems take about 15 or 20 minutes, and vary in difficulty from easy to difficult. The idea is, supposedly, companies can use these problems to measure a job candidates skills, and likewise, a candidate can use the tests to practice. I would like to solve one of their sample, public problems, and then make some observations. As the problem I will solve is in fact public, posting a solution should be fair game. The way the site works is you write your solution in the browser, press run, in real time your code is compiled and ran against various tests. You know immediately if your solution is "correct", or if you need to fix it. You can run and fix as many times as needed within the time constraint allotted for the problem. I produced a solution in three statements, plus a return statement. This should not be categorized as hard. The first two statements read/parse the XML string. The the third statement creates an IEnumerable<string>. Finally, we return that IEnumerable. This problem is categorized as "hard". What is a difficult or easy problem is rather subjective. I suggest most programmers could in fact solve the problem, given more than 20 minutes. i.e., in a real-world scenario. Caution: The solution I provided one could argue is not optimal. Maybe even flawed. Yet it passed. 100%. To make the solution better, one really should check for a System.NullReference exception on the first f.Attribute call. To see why, either remove the "name" attribute from one of the XML elements, or change it to something else. In other words, there is no requirement that the XML has in fact a "name" attribute for a folder. Attributes can be optional. Thus, if in the XML, you change the "name" attribute to, say, "nickname", run the accepted 100% solution again, it will fail. Hmmm. Using that for the query will produce a working solution that handles the optional name attribute case. The null check in (4) works because we are using the C# short-ciruit AND operator, &&. If f.Attribute("name") is null, the rest of the line does not execute, so no System.NullReference exception occurs. So that's it. Testing sites are interesting tools to practice on. However, their use as an accurate, valid tool to measure the actual skill and knowledge of a candidate is more questionable. LINQ offers two syntaxes: 1) The query syntax (so named because it resembles SQL), which I already demonstrated, and 2) The method syntax (so named because it uses the LINQ extension methods, of course).